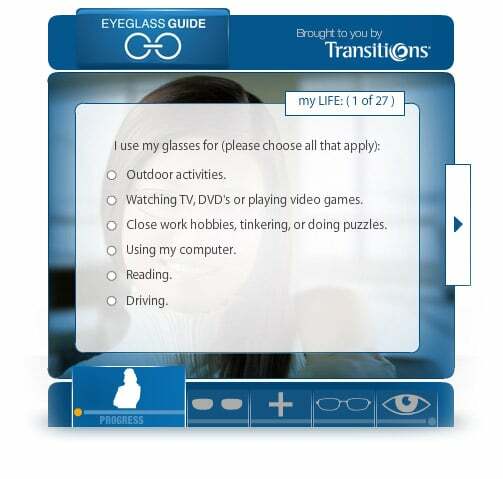 The Transitions EyeGlass Guide® is a great, online tool that can help you better understand the types of lenses available to those living today’s modern lifestyle. Take a few minutes to navigate through some simple, easy to understand questions about you, your lifestyle and your specific eyewear needs. At the end, you’ll receive eyewear suggestions specifically tailored to help you and our expert optical staff find exactly what you want and need!